DJ Mag ranked Boys Noize right at number 100 on their “Top 100 DJs of 2011.” As a big fan of Boys Noize, I find this unfathomable. I’ve maintained for some time now that dance music has taken over pop music in America these last few years. But sometimes, I forget that most listeners wouldn’t know that David Guetta has produced some of the Black Eyed Peas’ biggest hits, or that Afrojack produced Pitbull and Ne-Yo’s monster-crossover hit, “Give Me Everything.” When you stop to consider the mainstream visibility of most of the DJs in the top ten with David Guetta (1), Tiësto (3), Deadmau5 (4), Avicii (6), Afrojack (7), and Swedish House Mafia(10), then Boys Noize’s ranking at 100 is a little bit more believable. Even still, that doesn’t mean I have to like it. 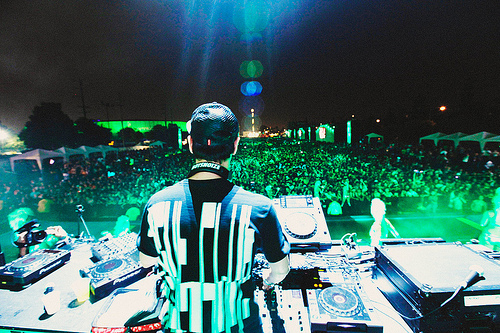 Boys Noize at EDC 2010. Photo courtesy of Caesar Sebastian. CC BY-NC-ND 2.0. It has been far too long since I have seen German house and electronic music producer and DJ extraordinaire Alex Ridha, better known as Boys Noize, get behind the decks. When Boys Noize returns to San Francisco this Saturday night at Mezzanine, it will be an opportunity that I won’t miss out on. At 29, Ridha, has managed to start up his own label, Boys Noize Records, and release two amazing albums, Oi Oi Oi and Power. Having also crafted remixes for the likes of Daft Punk, >Feist, N.E.R.D., and even David Lynch (yeah, that David Lynch), Ridha’s production work as well as his skills behind his DJ-decks make him a whirl-wind force in house and electronic music. From hard, crunching beats (“& Down”), to something a little more jazzy (“Yeah”), or something in between (“Jeffer”), Boys Noize is simply undeniable. There is no reason to believe that he will slow things down anytime soon. Let Guetta have that “number 1” spot, I’ll take Boys Noize over him every day of the week; twice on Sunday, or Saturday in this case. 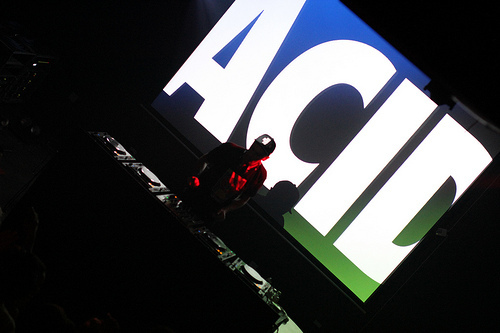 Before hitting the Mezzanine this Saturday November, 26th, Boys Noize will be in Miami tonight at Liv. After that, Toronto, Canada on the 24th to play the Hoxton, and then Chicago at the Mid on the 25th. On December 1st and 2nd, Boys Noize will play a two-night stint at the Music Box in Hollywood before ending the U.S. leg of this tour in San Diego at 4th & B on December 3rd.